I am currently enjoying Paris by screen, that is, my computer screen, where I daily take in the luscious photos of my friend and her family enjoying Paris with their toddlers. Though I’ve been to Paris many times, my thirst is not satisfied. How could it be? It’s Paris! So, though I can’t presently be in the City of Lights – the city of romance, cafés, and picnics on the Seine in the shadow of great architecture – I can appreciate their vacation and enjoy every detail they care to share. Take a few minutes and relish a little mental escape as Tilly tells us how they ended up in Paris this spring. -Tell us briefly about yourself and your family. I’m Tilly. I’m a full-time mommy, part-time writer. My husband is Nate and we’ve been married for 11 years. We have two boys; Kaison is almost 4 years old and Asher is almost 1. 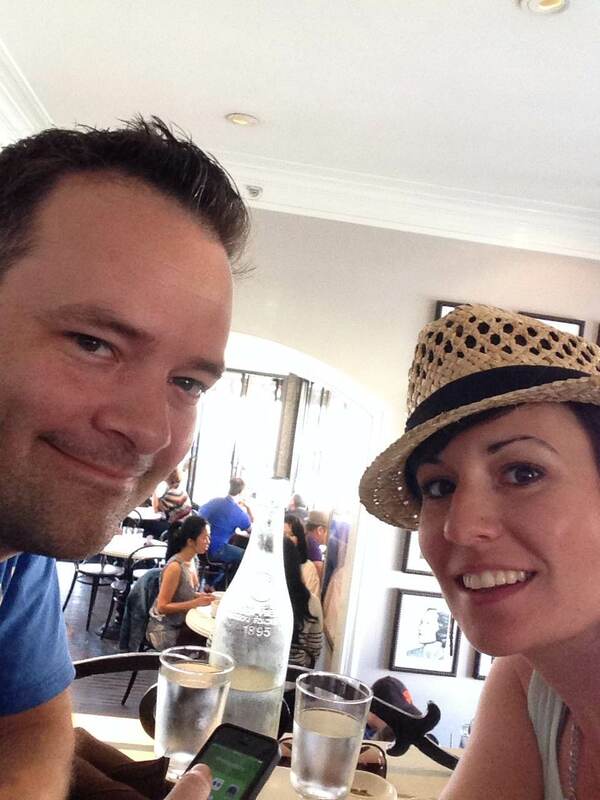 Nate and I love to travel and actually spent 3 months in the south of France before Kai was born. This trip to Paris is our first international vacation with the boys. 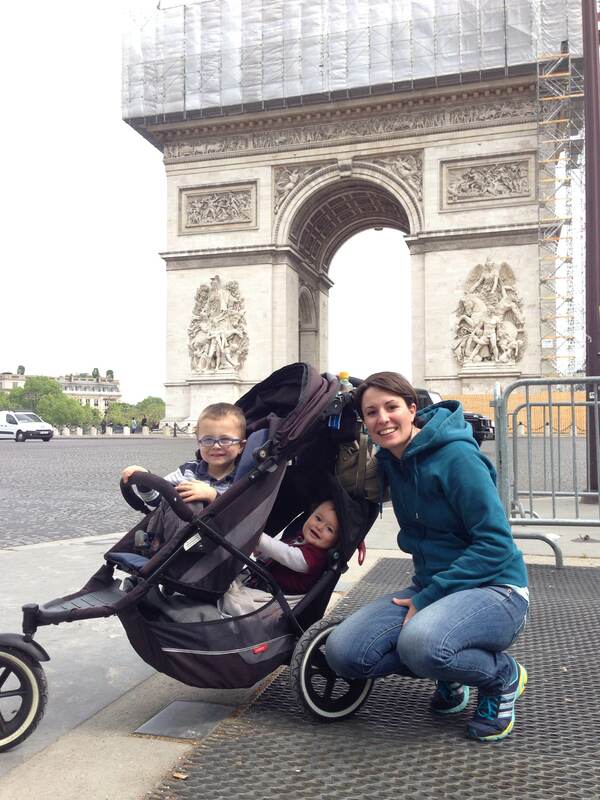 – Everyone knows Paris is a romantic destination for a couple, but Paris with kids? What is an absolute must-do with the kids while you’re there? 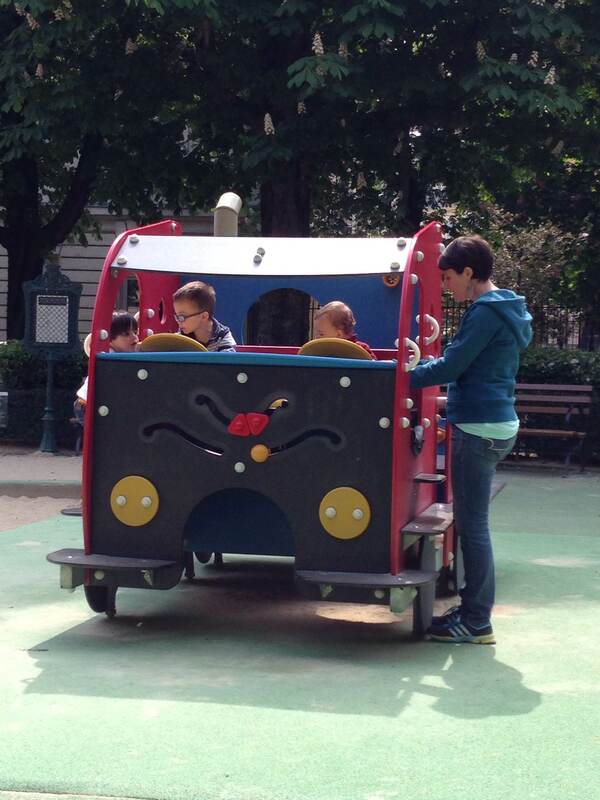 When we decided to go to Paris I was a little intimidated about what to do with the kids. But after googling “Paris with kids”, I found tons of information and advice on being in Paris with little ones. 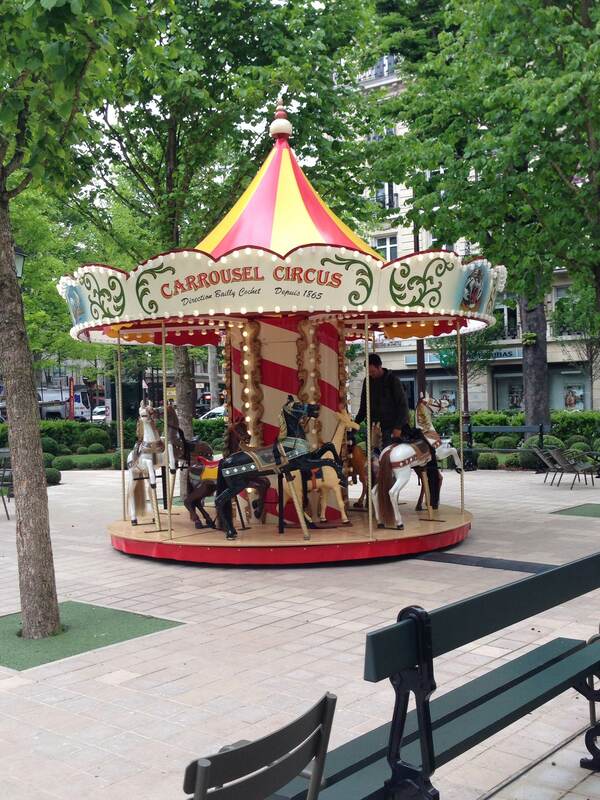 In fact, several places list Paris one of the most kid friendly cities in the world. There are small neighborhood parks all over the city plus larger ones that boast great play equipment, fences (so no kids wander into the street), toilettes, and there’s usually a cafe nearby for a snack or espresso. For older kids, there’s a lot of hands-on things to do but because of the age of our boys, we’re spending a lot of time having picnics at the park and exploring the city on foot and on busses. I think it’s also important to remember that most kids don’t understand the significance of being in a foreign city. They just want to play and run and have fun! We’re still seeing Paris but at a more leisurely pace. 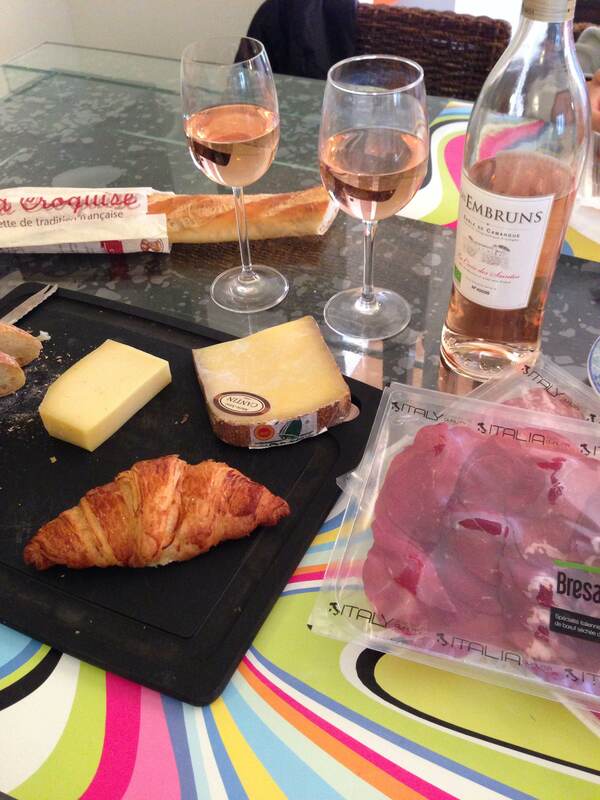 – Staying at a hotel for three weeks with your family in Paris can be pretty expensive. 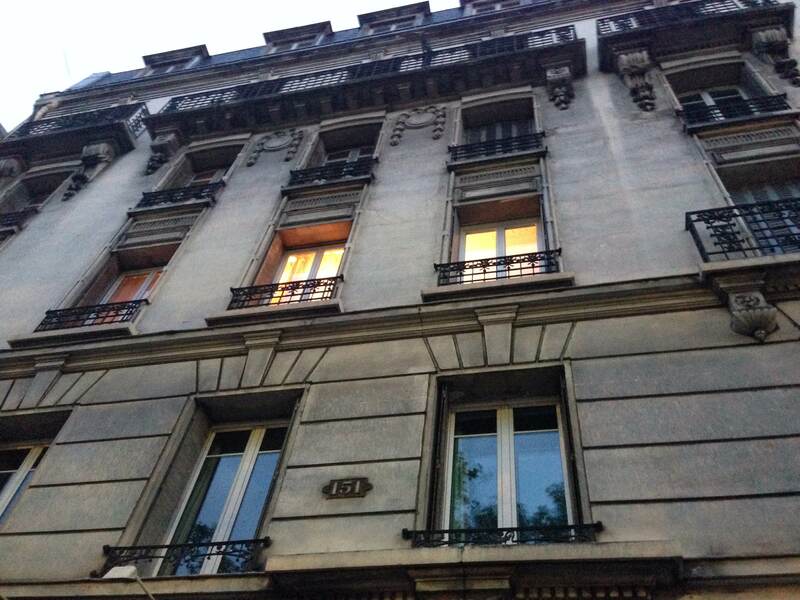 What do you find to be the best type of accommodation for a family’s extended stay in the City of Lights? Not only could we not afford to stay in a hotel for three weeks, there’s no way we could have an enjoyable vacation crammed into one or two rooms. How would naptimes/bedtimes work? And we definitely couldn’t afford to eat out for every meal. So we decided to look into home swapping. We signed up with a website for a minimal annual fee and got access to hundreds (probably thousands) of homes around the world that are available to swap. We spent about a week contacting different people in Paris until we heard back from someone that was able to let us stay in their flat. It’s a 2 bedroom/1 bath flat on the 4th floor with a view of the Eiffel Tower. The owner is currently in Asia so instead of swapping we “paid” them with points (they can use those points to stay at someone else’s home). As long as you’re willing to let someone stay at your home, it’s a fantastic way to travel. – So, you have a fully furnished flat, including a complete kitchen! Is there anything in particular you are looking forward to eating or cooking while you’re there? I love to cook all different types of food but I’m most looking forward to exploring the neighborhood farmer’s market and cooking with local, fresh ingredients. I want to wander through the different vendors and buy whatever produce or protein that catches my eye. I’m also excited to try as many of the cheeses and wines as I can. Oh, and I can’t forget the pastries, croissants, and baguettes! 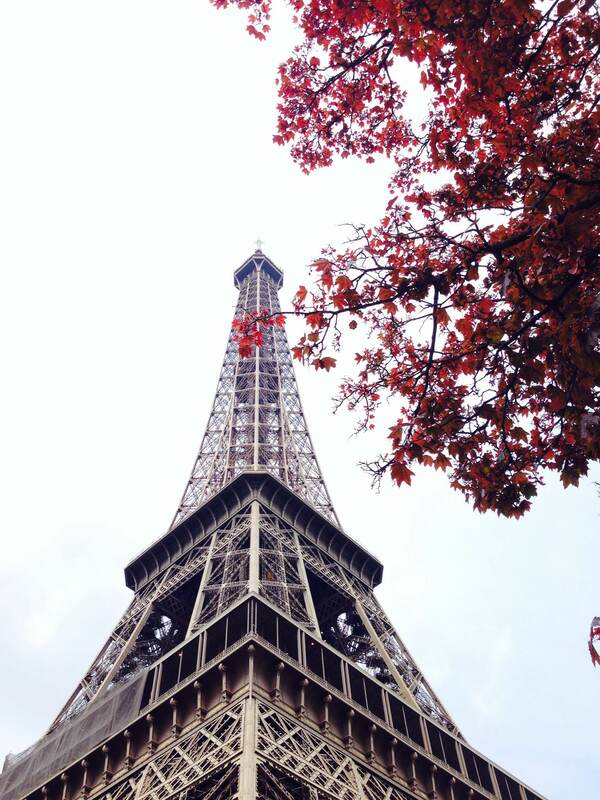 – What are the highlights of being in Paris in the spring? Paris is beautiful in spring! The flowers are blooming and everything is lush and green. The sun rises at 6:30 and sets at 9:00 so there’s plenty of time to enjoy all that Paris has to offer. The weather can be a little unpredictable, rainy and cold one day and sunny and fairly warm the next, so we’re checking the weather a lot and planning our activities accordingly. Another great thing about being in Paris in the spring is that the tourist season hasn’t started yet. Things are cheaper, lines are shorter, and it feels like we can almost blend into the city and enjoy Paris as a local. Thanks Tilly for taking time out of your schedule to share your vacation adventures! All photos courtesy of Tilly Ritter. I loved this post interview and wanted to say thanks for providing such a great outlook on traveling with small children. We have two small children and I’ve been terrified to try and arrange any type of vacation! I keep thinking it would end up being more stressful than staying home. Reading this post hasn’t really changed my mind, but at least it’s given me pause. It might not be as bad as I imagine it would be =). Thanks, again. I also tend to anticipate how stressful it will be traveling with the kids. It’s always easier staying home with our toys, friends and routine. The thing to do to keep the kids happy is do things while traveling that we do at home – playing at parks, going to the zoo, visiting the children’s section at libraries, etc. The kids have always taken it in stride and I’ve found we have sweeter family time because I’m not distracted by cleaning, cooking and my own routine at home. Do it! But keep expectations low as far as how much you can do in one day. If you wouldn’t do it at home, don’t expect the kids to be able to handle it on vacation (unless you want to pull out your hair:-). If you decide to travel with them, let us know how it goes! No matter how you frame it, toddlers can be a challenge;-) All parents can sympathize. Thanks for making it seem doable! For the first time, I’m actually considering this =). Will definitely let you know how it goes. Thanks! I think I can do it and that’s the amazing thing! I think for too long I’ve dreaded it instead of focusing on how I could make it work. Thanks again for the encouragement :). Great post and interview! How does one get points? I’m not sure how the point system works. But I’m going to look into it! We used the website lovehomeswap.com. When you pay their annual fee to join, they give you 1200 points to start you off. That covers about 2 weeks of time at someone’s house. You’ll need to check their site for any additional information you want. There’s a lot of swapping sites out there. We chose the one that seemed to work best for us. Good luck!